book on your local amazon site. 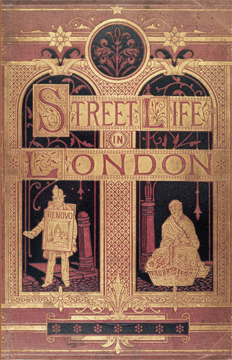 You will also learn about the trades that helped the poor of Victorian London to survive. You will meet the swagsellers, the mush fakers, the old-clothes dealers, the wall-workers, the ginger-beer makers, the flying dustmen, the street doctors who impress their poor patients by diagnosing them in “crocus Latin,” and many others. Call your family into the parlour on some bleak wintry day, stir up the coals on the grate, and read this book aloud, so everyone can be warmed by its descriptions of a bygone time.